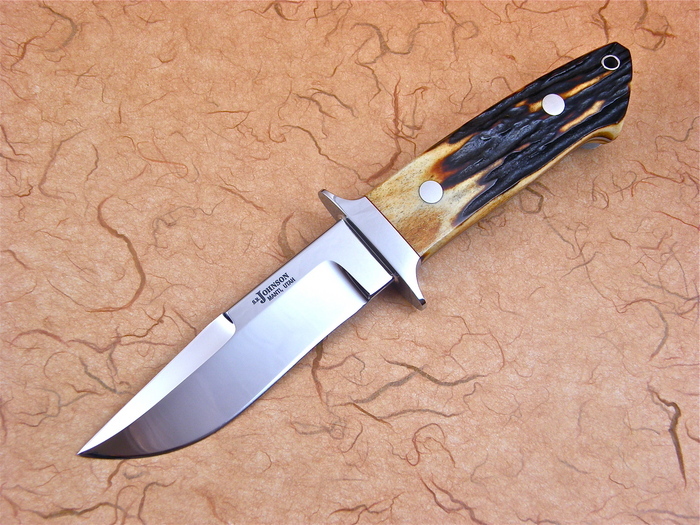 A beautiful Loveless style Chute knife by Steve Johnson. 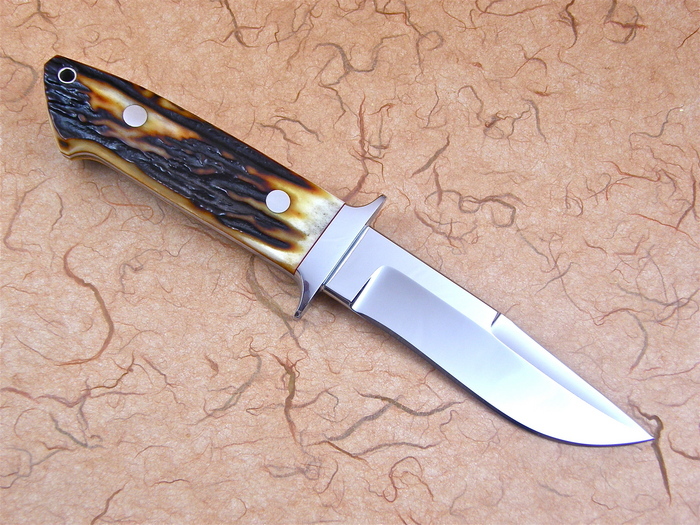 It has very nicely matched amber stag scales. This knife was made for the 2009 Guild Show Gala Dinner.